Equidistant Letter Sequencing | Does Christianity Make Sense? Three mathematical statisticians, Doron Witztum, Eliyahu Rips and Yoav Rosenberg of the Jerusalem College of Technology and the Hebrew University, discovered words encoded in the Genesis text that was humanly impossible! For they found related names, events and dates from the nineteenth century! Only someone who knows the future could have placed them there! Simply finding encoded words is nothing unusual. . . But they discovered something that was! In “close proximity” were related word-pairs. For example, the researchers found the name “Zedekiah” (a sixth century B.C. king of Judah) and in “close proximity” was the word “Mantanya” which was Zedekiah’s original name! They found “Hanukkah” (the Jewish festival that commemorates the re-dedication of the Temple after it was recaptured from the Assyrians in the second century B.C.) and in close proximity was the word “Hasmoneans” which was the family name of the leaders of the Jewish armies that took the temple from the Assyrians for which Hanukkah celebrates! It was humanly impossible for the author of Genesis to know this in 2300 B.C.! Not to mention the impossibility of encoding meaningful related “equidistant letters” into a text and then the text itself make sense! The researchers selected, at random, 300 such related Hebrew word-pairs from names and events that occurred hundreds and thousands of years after Genesis was written. And of these 300 related name-event pairs. Looking for some coincidental explanation they searched for the word-pairs in simple randomized tests! But they were not found! The word-pairs were ONLY found in close proximity to each other proving irrefutably that the encoded word-pairs were not coincident or accident but were intellectually encoded by a superior intelligence! The scientists stated the statistical odds of this occurring by chance are less than 1 in 50 quadrillion that’s 1 in 50,000,000,000,000,000! According to scientific analysis a finding of less than 1 in 20 is significant! One fact is crystal clear — the Author of Genesis was not human! And more discoveries were found! The skeptical scientists went one step further. . . Instead of searching for simple pairs of related words, they took the Hebrew reference book, The Encyclopedia of Great Men in Israel (Margalioth, M., ed. (1961)) and found the 34 most prominent men in Israeli history from the ninth to the nineteenth centuries! They paired the names with the day of birth or death (Hebrew numbers are represented as letters). The author of Genesis could not possibly foresee these men 4,000 years before their birth and definitely not their birth or death date — UNLESS THE AUTHOR WAS GOD! 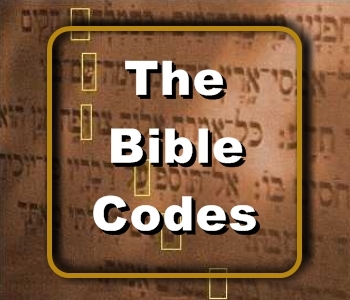 Using the computer analysis, the scientists searched the Hebrew text for the 34 name-date pairs. Remember, they had to be “equidistant” and in “close proximity” to register a “hit”. And how many did they find? ALL 34 NAMES AND DATES WERE FOUND!!! The bewildered scientists were baffled! This was not HUMANLY possible! Not believing what they were seeing they repeated the test. They picked the next 34 most prominent men from the encyclopedia. Because the dates of the death for 2 of these men were not known, the second test included 32 men. And how many did they find? There is not the least possible chance that these findings were an accident! Someone with a far superior intelligence than you or I had to have encoded these prophetic names, dates, and events! In other words there is only ONE possible explanation GOD! The researchers ran the same tests using the Samaritan Pentateuch, which is slightly different from the textus receptus or Masoretic text. 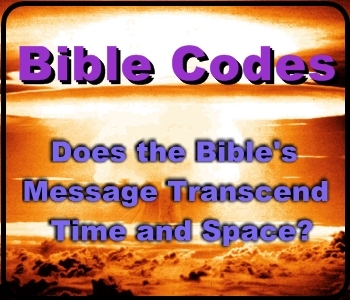 According to Biblical Review (p.44) “the phenomenon was UTTERLY LACKING in letter-level variants. . .” They also tested other texts sacred and secular but no such findings existed in ANY OTHER TEXT! Only the textus receptus! The textus receptus is the text for the King James Bible! The new versions do not use the textus receptus. The new versions are NOT the words of God! Friend, there is no doubt the King James Bible is the word of God. And there is no doubt you will one day stand before God. Original Article written by Terry Watkins here.